Louise Park is an amazingly prolific Australian children's author who writes under several pseudonyms, including H. I. Larry (Zac Power books), Mac Park (Boy Vs Beasts books) and Poppy Rose (Bella Dancerella series). The Harriet Clare series of books are written under her own name. 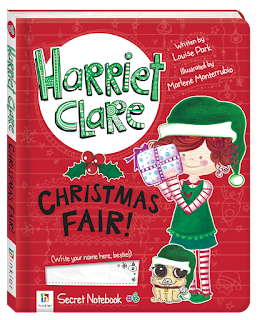 Harriet Clare Secret Notebook #5 Mystery Dare was published a couple of months ago and Secret Notebook #6 Christmas Fair came out this month. My six year old niece adores these books. 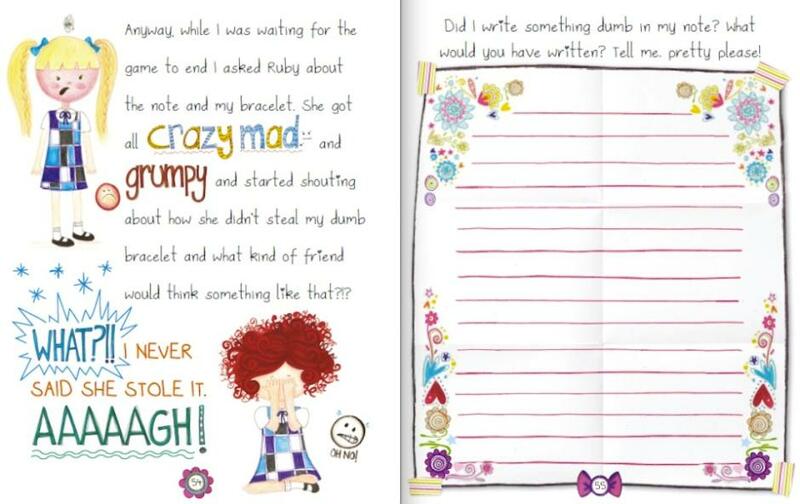 Their mix of fun fonts, activities and easy to read story lines are perfect for her. Harriet, just like my niece, is a bit of a tomboy who is sporty, but loves craft and dancing. I also suspect she relates to another red-head with unruly hair! Christmas Fair is full of the delights and anticipation of an Australian summer - the count down to finish the school year and the big end of year concert, the putting up of the Christmas tree and the obligatory photo with Santa at the shopping centre. Harriet includes her recipe for Christmas Decoration Dough, so you can make your own tree decorations. She leaves you spaces to draw your own Christmas tree next to hers and she has great ideas on how to decorate your own Christmas cards. Harriet also shows you how to make your own snow globe. Marlene Monterrubio's illustrations are decorative, expressive and add to the sense of fun. 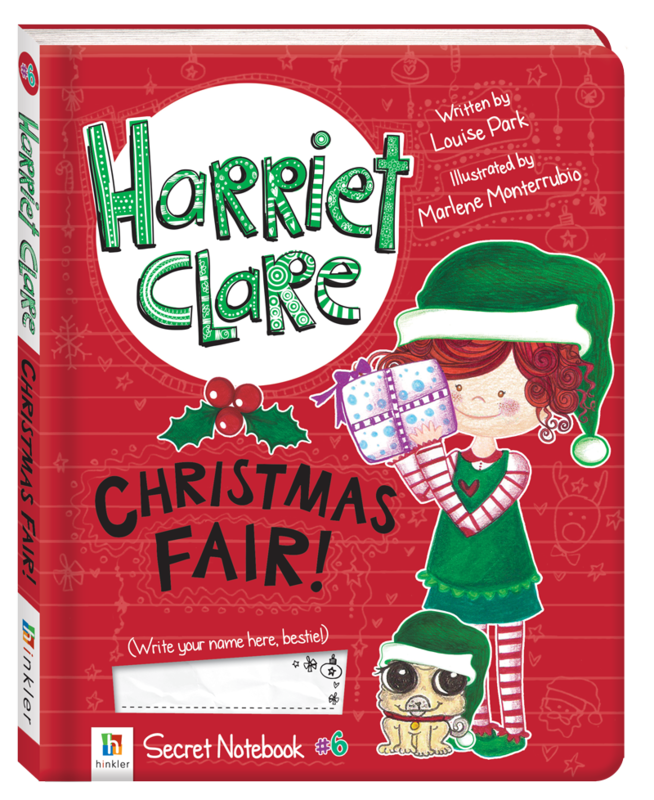 The Harriet Clare series is perfect for the emerging reader who is just gaining some book confidence and feels ready to spread her wings a little. She has her own website here for more fun activities and information. This book (intended for children) is my 'kick off' to read some 'get in the Xmas mood' books. Where to start...I'll have to make a list today! I posted on master post #ausreadingmonth but don't see the comment. Well, I've linked my last Aussie read for #ausreadingmonth. It was my best Aussie reading month in the last four years! The 'surprise' book arrived today. I'll have to keep you in suspense! Thanks for hosting, I have read some great books and 1 H Lawson poem. Your enthusiasm for #AusReadingMonth is always appreciated Nancy. I can't wait see what the surprise book is! Cute. I was just thinking about turning my reading over to Christmas. This has convinced me.